The work of Charles Van Schaick (Van Scoik) in the Wisconsin Historical Society collection includes over 8,000 images made between the years 1885-1940 in the small town of Black River Falls. There are also many photographs in the collection that appear very casual, similar in style and anticipating the work of snapshot photographers in the decades to come. 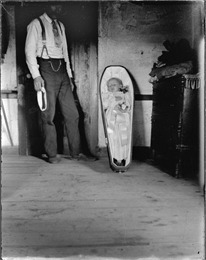 Michael Lesy, was first introduced to the Charles Van Schaick collection of photographs at the Wisconsin Historical Society by Paul Vanderbilt, the Society’s first curator of Iconography. Michael Lesy's Ph.D. dissertation from Rutger’s University on the work of Van Schaick eventually resulted in the publication of "Wisconsin Death Trip". Originally published in 1973, the book became a cult favorite and is still in print today. Sharing the same title, it was later made into a successful movie in 1999 by BBC writer/director James Marsh. Lesy made a very tight selection from this large collection of glass images, concentrating on 130 images that met his criteria to emphasize the perspective that this small town was emblematic of a nation in despair during the depression years of 1885-1899. "Wisconsin Death Trip" does not read like a tome from academia, preferring to exploit the unusual and unexpected. Lesy inverted, flopped, cropped, and made creative use of the images through collage. Images of dead babies are paired with bizarre tales of madness, eccentricity and violence from newspapers contemporary with the images but excluding any historical context. The book reads like a film; Lesy in fact commented that he would have preferred the film format had the resources been available. Historians continue to be appalled at this approach, but the general public continues to be intrigued and fascinated with this unusual juxtaposition of images and text from 40 years ago. 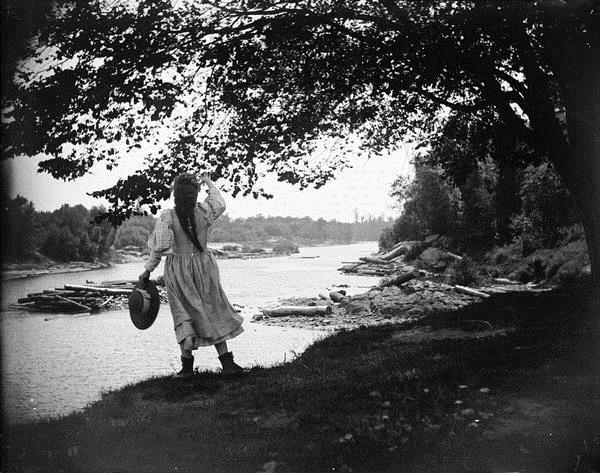 In 1994 the Jackson County Historical Society donated the remaining glass plates of Van Schaick that had remained in the photographer’s studio as part of their collection in Black River Falls. 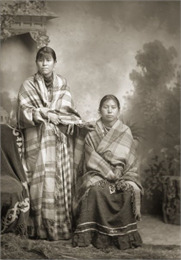 The subjects in this particular donation were varied but a great many were of the Ho-Chunk people. These photographs are valuable in large part because they were commissioned by the subjects in the images and so contain a familiarity and honesty not available with images made by some of Van Schaick’s contemporaries that were made for commercial or ethnographic studies. In collaboration with the Ho-Chunk tribal archivist, four authors, two of whom are Ho-Chunk, contracted with the Wisconsin Historical Society Press to bring this work to light. In 2011 "People of the Big Voice" was published, allowing the images to be broadly distributed for the first time since their creation. All of the images for both "Wisconsin Death Trip" and "People of the Big Voice" are currently available online. Considerable effort has been expended in cataloging and digitizing the entire collection to allow users to appreciate the full extent of Van Schaick’s work beyond the published resources. 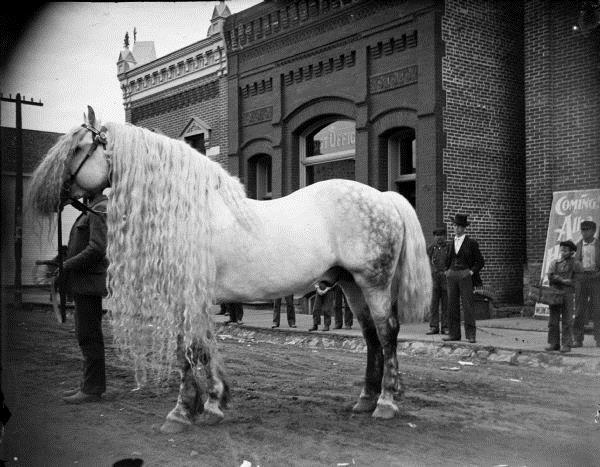 Within the next year, the entire Charles Van Schaick collection of glass plates will be accessible online.